So while I have my main office in Copenhagen these days, I am in Venice, Los Angeles annually to see clients - dates of my next LA visit are: April 5th - April 20th 2019. I will be seeing clients from 10AM - 4PM. You can reply to this email to book your appointment now. If you are a new client and want to know more about what a top-to-toe health check-up entails click here. This year has been super busy and super good for me. I have done a ton of stuff, attended more ongoing education in the fields of biofeedback in Germany and also clinical courses in heavy metals and detoxification methods which has enhanced my own skills in how to best treat various health issues. 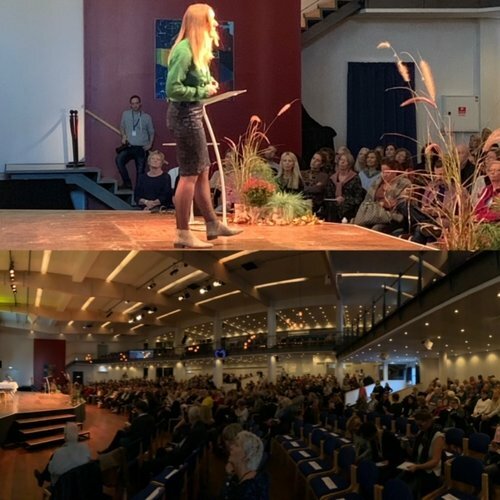 I have written for various fashion and health magazines and talked at the Danish Cancer Conference in November. I have had significant better treatment results with cancer and autoimmune disorders the last couple years, because new laboratory testing has been developed, which has enabled us to pinpoint the cause of these devastating diseases. That means we can finally start understanding WHY people are sick and treat that - instead of getting lost in the ripple-down effects. Much talk has been on gut health, and while that is definitely important, it is critical that we go deeper - understanding which came first i.e. if you have heavy metals or toxicity from chemicals or mycotoxins (mold), then your gut health will be affected and so will your hormonal health. We don’t want to treat our hormones or gut health as the first step, if something else is causing the disruption - makes sense no. So bottomline is we are moving away from treating the symptoms and finally able to make a real significant measurable better treatment outcome. I am really positive about this in spite of the many other things in this world which might be challenging during these times. Want to book a health talk? If you want to book me for a talk while I am in Los Angeles check out some of the stuff I’ve been doing this year right here.